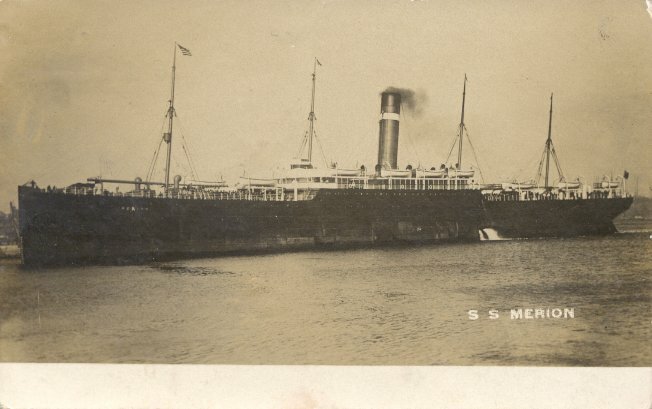 Like her sister Haverford, Merion was built for the American Line by John Brown & Co., Clydebank. Launched in November 1901, she was transferred to the Dominion Line during fitting out, and made her maiden voyage on Dominion's Liverpool-Boston route on 8 March 1902. 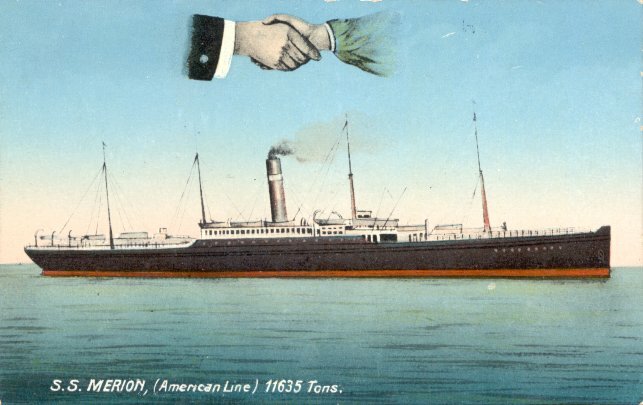 Merion was returned to the American Line in 1903, and made her first voyage on American's Liverpool-Philadelphia route in April of that year. After being taken over by the Admiralty in 1914, Merion was converted into a dummy battle-cruiser, HMS Tiger. She was torpedoed and sunk by UB 8 in the Aegean, near Mudros, on 30 May 1915. Sources: Kludas' Great Passenger Ships of the World; Bonsor's North Atlantic Seaway; Williams' Wartime Disasters at Sea.